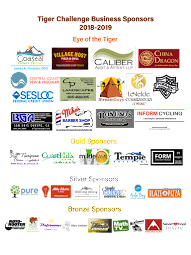 Business Sponsorship Forms: There are very limited # of spots left and a very early deadline (Sep 14) if Business Sponsor wants their logo on T-Shirt and banner on fence by Oct 5 Tiger Challenge Event. Tiger Challenge Envelopes: Please turn in funds raised every Fri morning: Sept 14, 21, 28, (Th) Oct 4 & Final Oct 5. Oct 5 Game Day: Cheer on the kids and join us for Pizza Lunch by Village Host $5 (preorder online). Parent Support Form: Help us plan/budget by completing form.